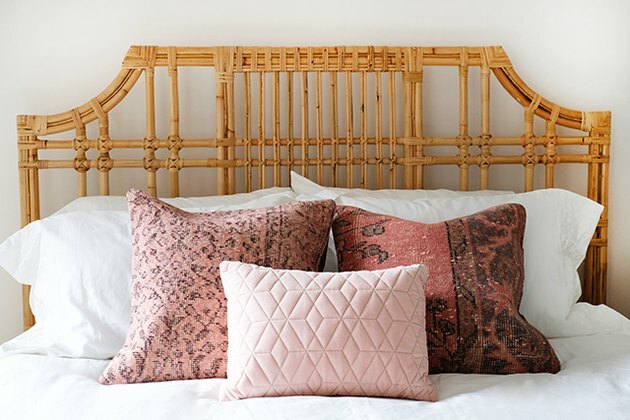 'Tis the season for all the pink things, and with Valentine's Day just around the corner, we tend to get the itch to add more rose and blush hues around the house. 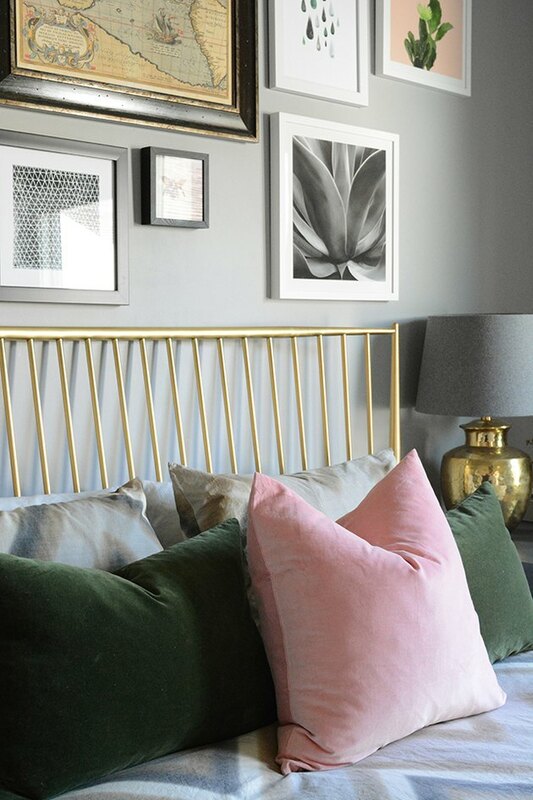 And while I'm sure many of us would love a pink velvet sofa (or let's face it, an all pink living room or a pink bathroom), it might not be in the budget. 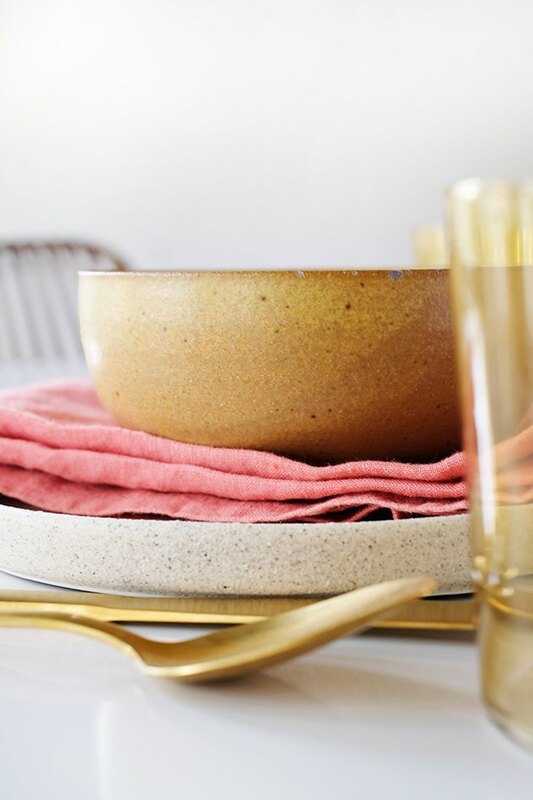 However, you can easily add a pop of this color, seasonally or all year round, and not break the bank. 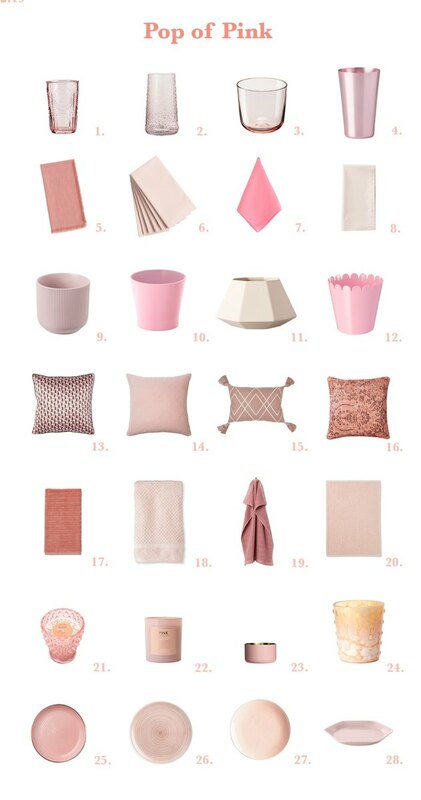 Now before you say, "I'm just not a pink person," let's consider all the shades of this hue there are available. 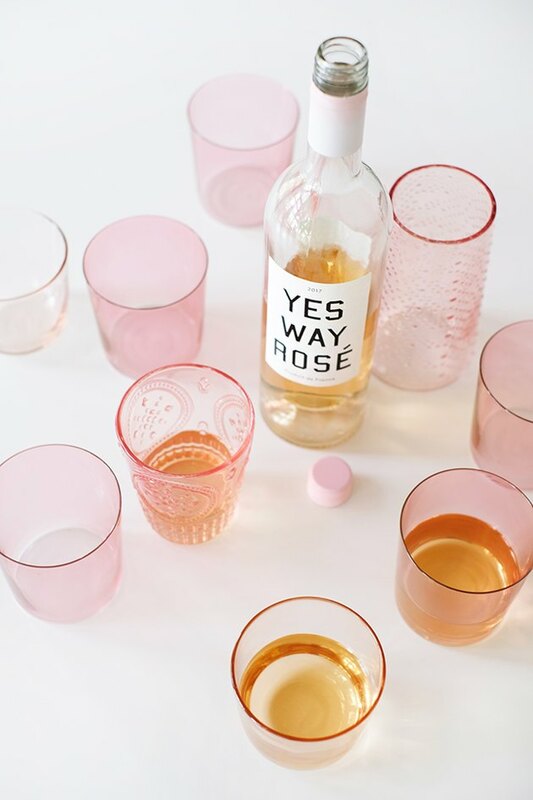 You definitely don't have to love hot pink — blush, peach, powder, and rose are some of my favorites because they are subtle and soft. 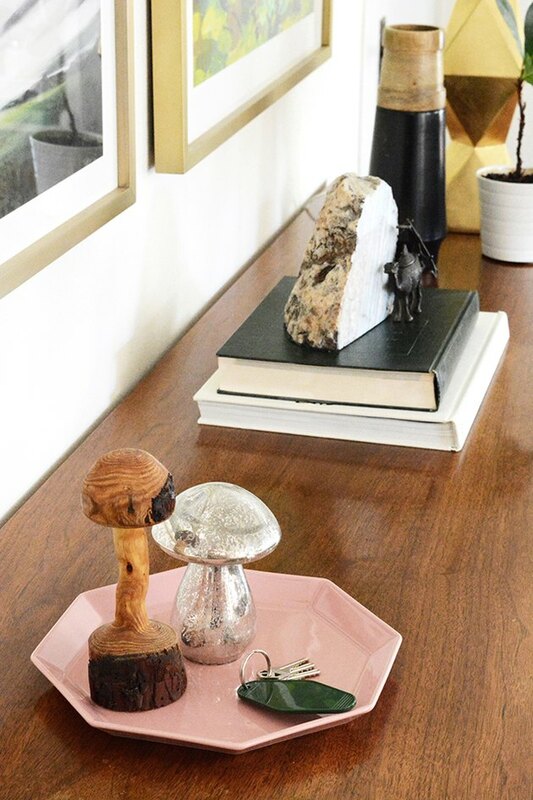 Pink is one of those neutral colors that can be sprinkled into any decor style or color palette. It plays well with others: I really can't think of another color it clashes with. 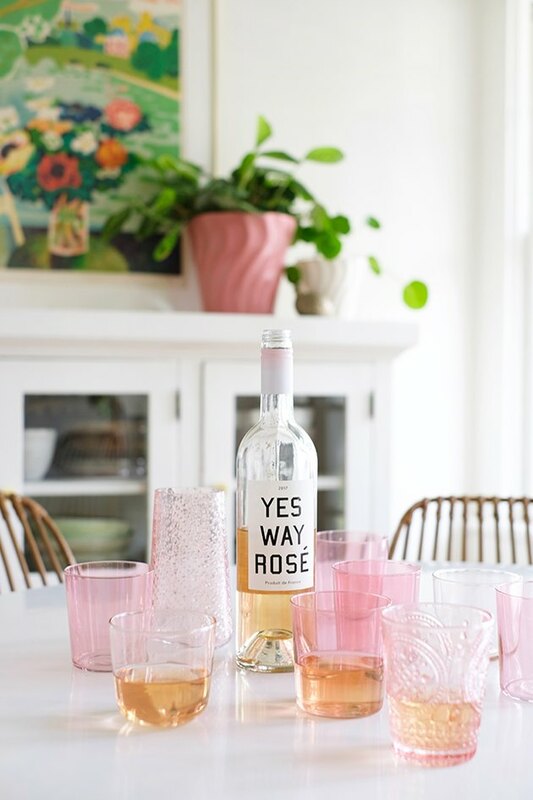 I've done a little sourcing and styling to show you eight easy, inexpensive ways to add pink to your home decor. And it's not going to feel like a cheesy kindergarten classroom ready for February 14, I promise! 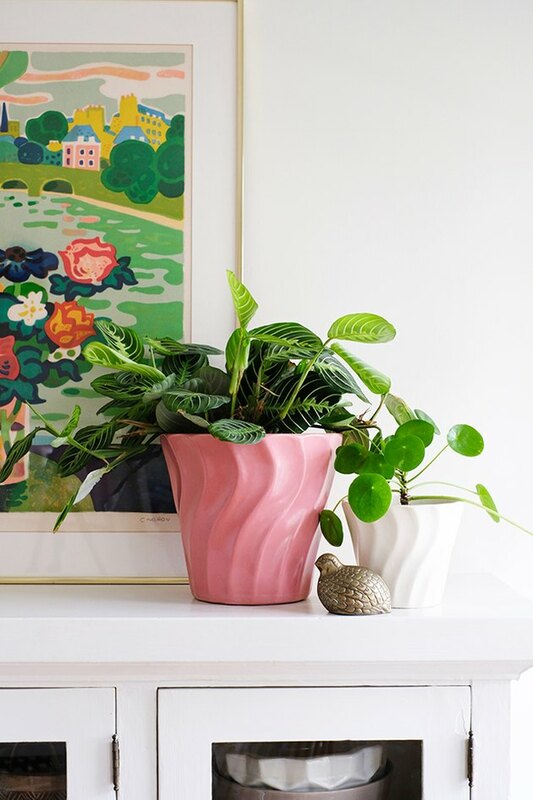 Put your favorite plant in a pink pot. My husband picked up this set of vintage Bauer pots (similar) for my birthday a few years ago. 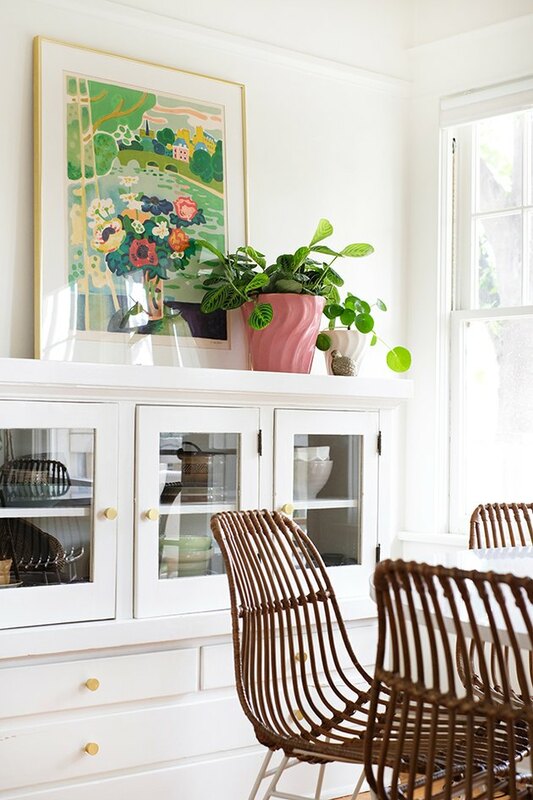 Green and pink are best friends, so you can't go wrong with a bright leafy green plant in a pink pot. 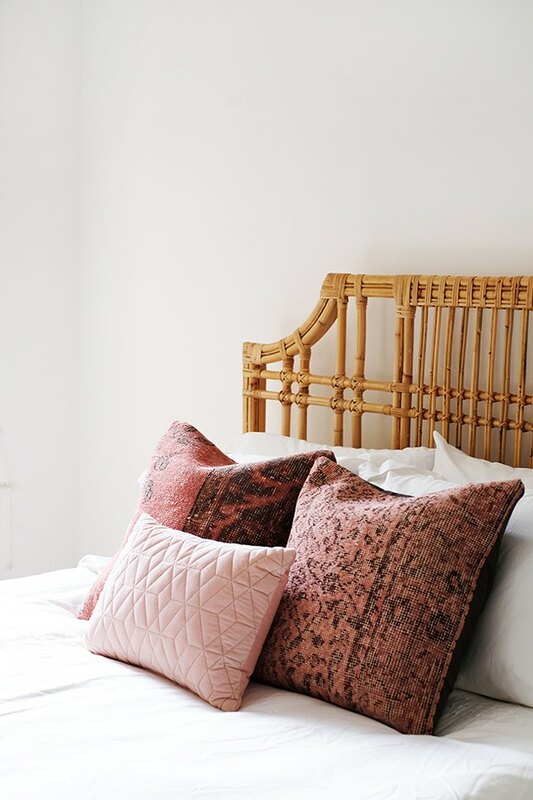 A pink pillow on a bed or sofa is a no-brainer. 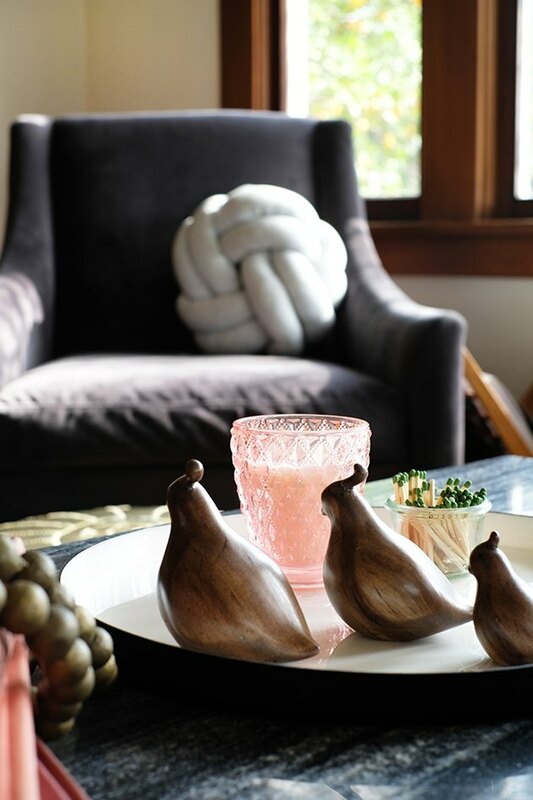 Think of pink in a pattern or a fun texture like velvet (seen above). 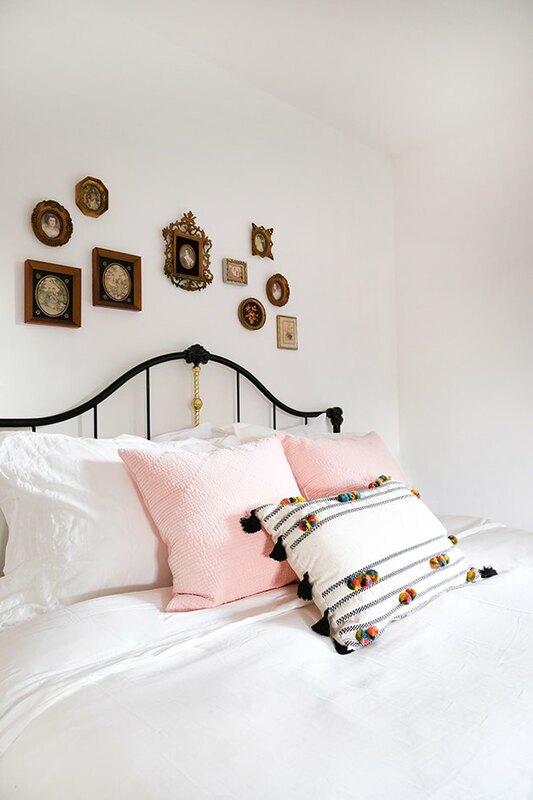 If done right, it doesn't have to feel like a little girls room. 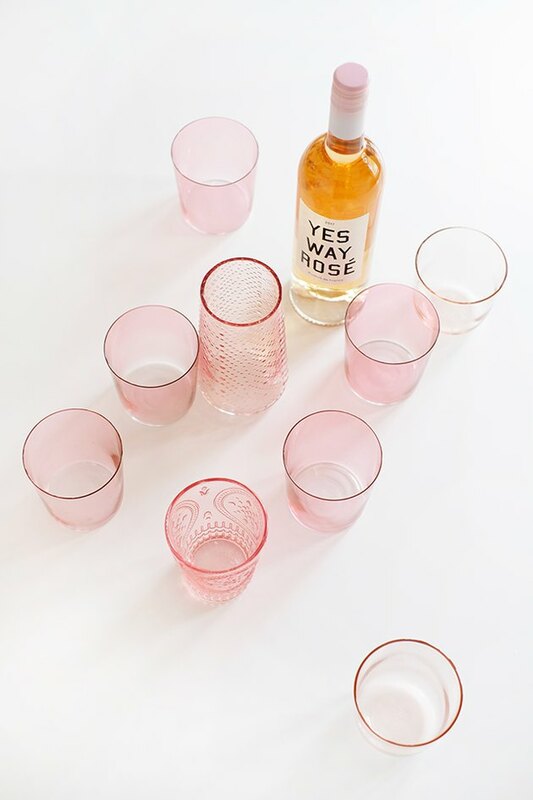 Pink can be sophisticated and grown up. 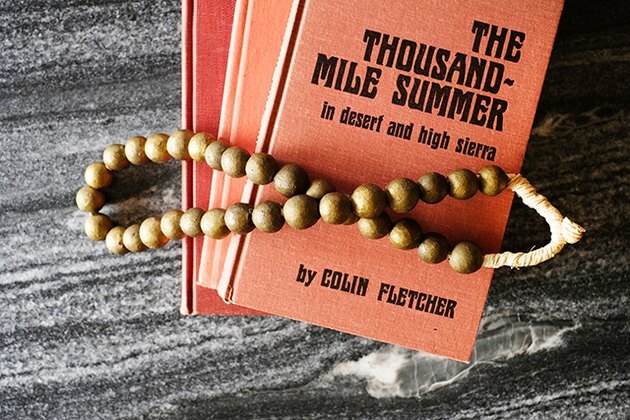 These vintage rug pillows (seen below) are a surprisingly great price and give texture and pattern without feeling too uptight. 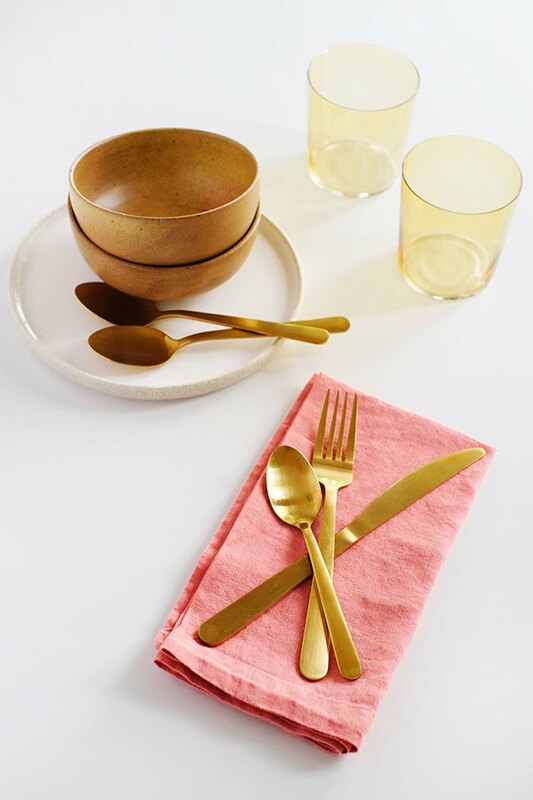 You don't have to buy all new dishes — adding pink table linens like napkins, a table runner, or tablecloth can make your everyday dishes festive in a flash. 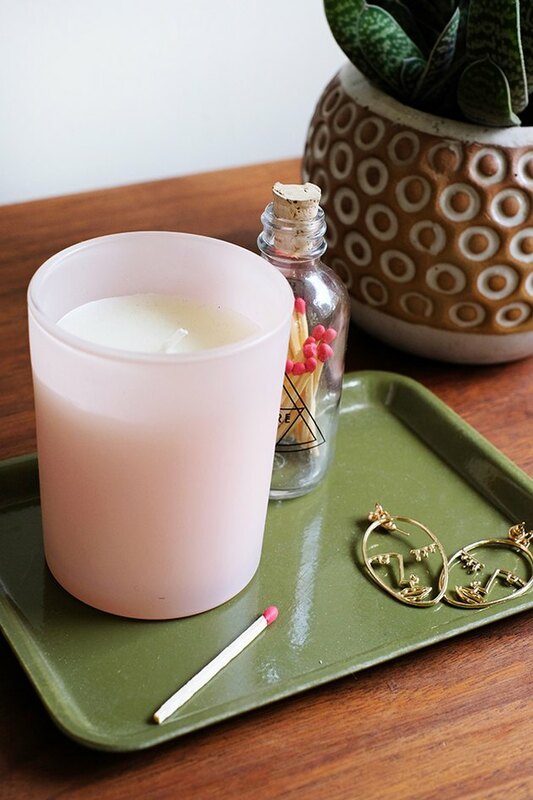 A candle in a pretty pink votive or jar is always a good idea. 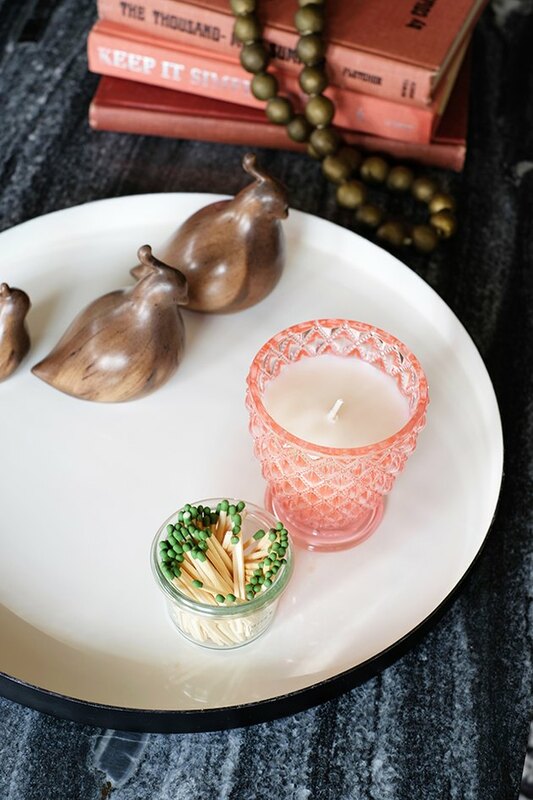 Even though the rest of the room might not have a stitch of pink, a single pink candle won't feel out of place. If anything it will become the star. 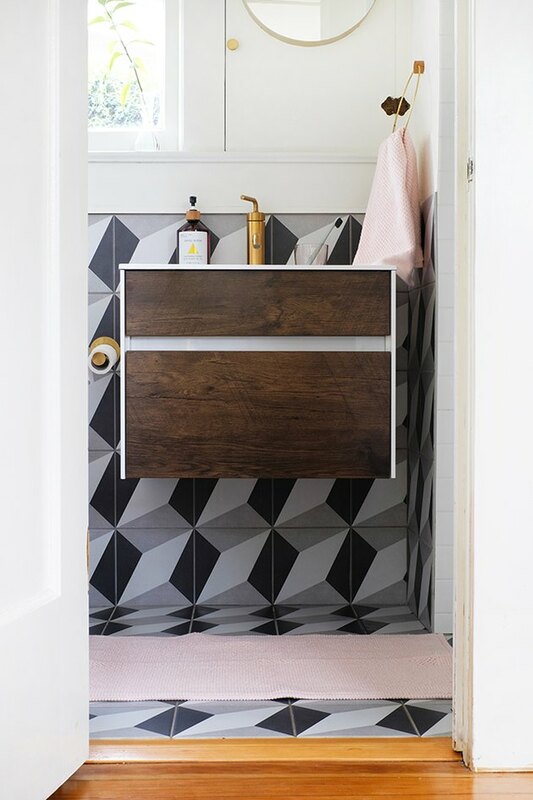 A pink hand towel or bathmat is a nice way to soften up a bathroom. 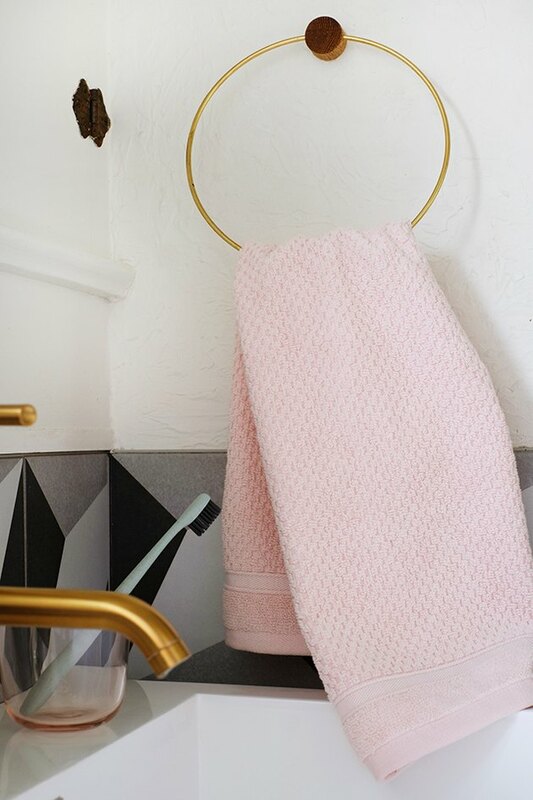 I keep all our big bath towels white, so it's fun to change things up and add a little color and pattern with a pretty hand towel. 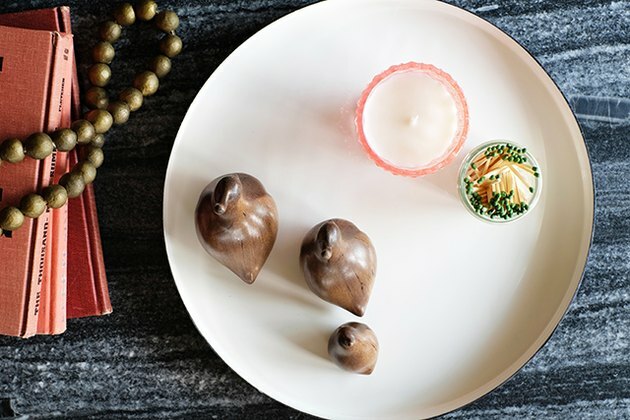 You don't have to buy all 12 place settings, a single pink tray or plate will do the trick. 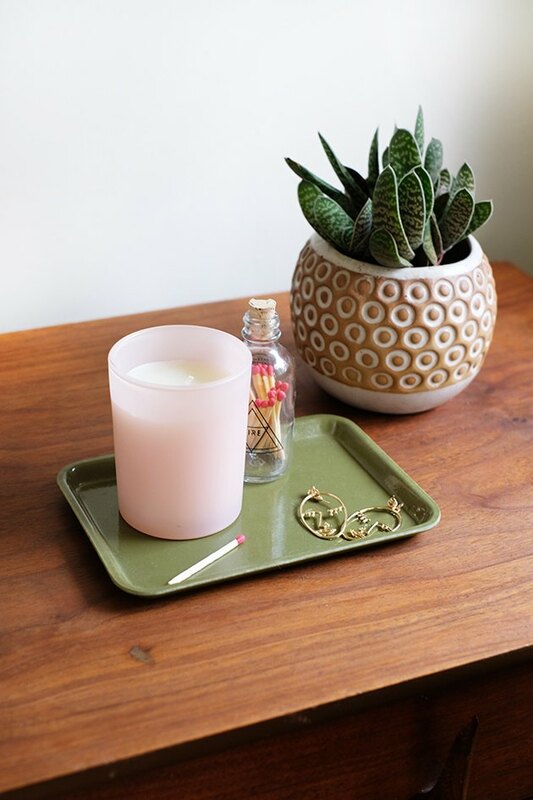 This pretty pink catch-all is perfect for your keys by the front door, on a coffee table with a candle, or by your bed to catch your earrings and glasses. 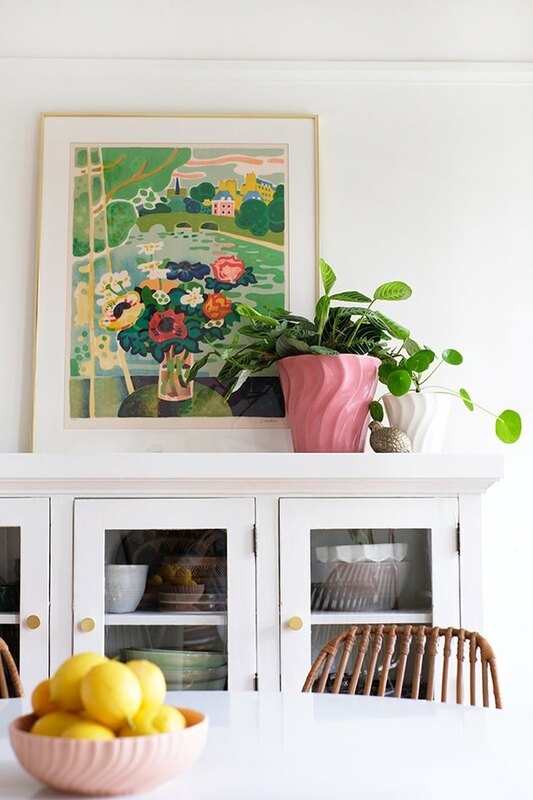 And now it's your turn to add a pop of pink to your decor. 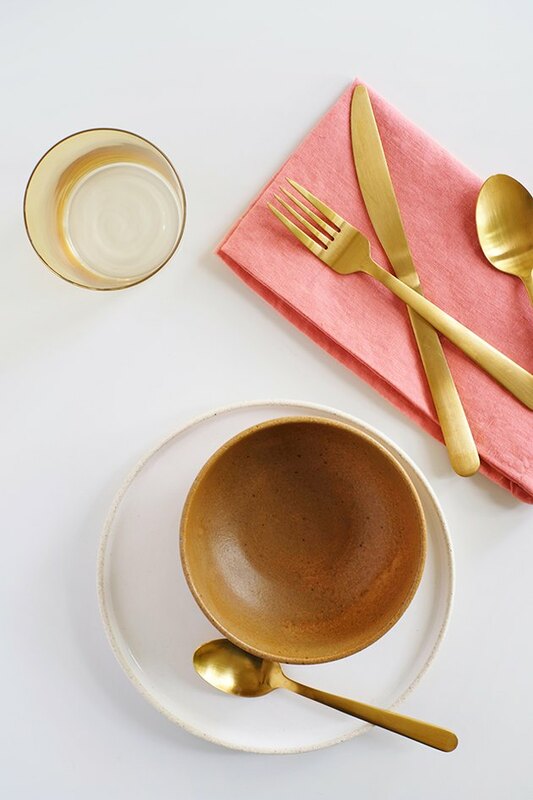 I've sourced some really pretty pieces to help you get started.